By Marc Boucher on August 1, 2016 5:00 PM. "Now available is the June 22, 2016 NASA Future In-Space Operations (FISO) telecon material. 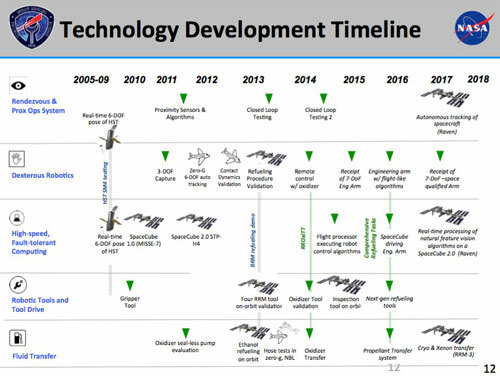 The speaker was Gary Barnhard of Xtraordinary Innovative Space Partnerships, Inc. (XISP-Inc) who discussed Near Real-Time State Models - a Foundational Technology for Space Automation and Robotics." Includes: Presentation and audio recording of the telecon. By Keith Cowing on October 24, 2014 6:09 PM. "When Boston Dynamics first revealed their ATLAS robot on July 11, 2013, the bipedal humanoid robot was a clunky, slow moving contraption tethered to a jumble of cords that performed a variety of controlled tasks awkwardly. Still, we were all impressed by the ATLAS robot's humanlike legs and frame that no doubt offered a tantalizing glimpse into the near future of robotics. Fast forward a year, and with help from the Florida Institute for Human & Machine Cognition (IHMC), the ATLAS robot has received some serious programming updates that enable it to walk like a human with more agility and control than ever before." 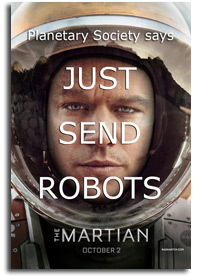 Keith's note: Meanwhile NASA's Valkyrie robot is nowhere to be seen. This page is an archive of recent entries in the Robotics category. Procurement is the previous category. Russia is the next category.